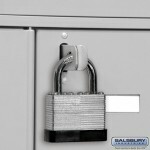 You can see that on the staple system that as long as the lock can close, the locker will be securely shut. 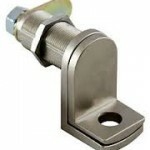 However, this is not the case with the Cam Latch since any padlock using a shackle (U Bar) with a thickness of less than 6mm will not work even if it closes and looks securely locked. 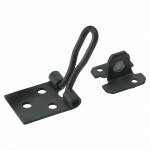 When you attach a 30mm lock using a 5mm shackle, the Cam Latch can still turn in place and open the locker. This may not appear obvious and you may need to apply some pressure but in most cases it will open. 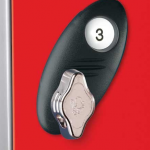 So the moral of the story is that if you have bought lockers with a Cam Latch system, then you’ll have to buy a padlock using a 6mm thick shackle or more. 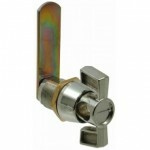 Most 40mm padlocks will use a shackle thickness of at least 6mm but best to double check first.